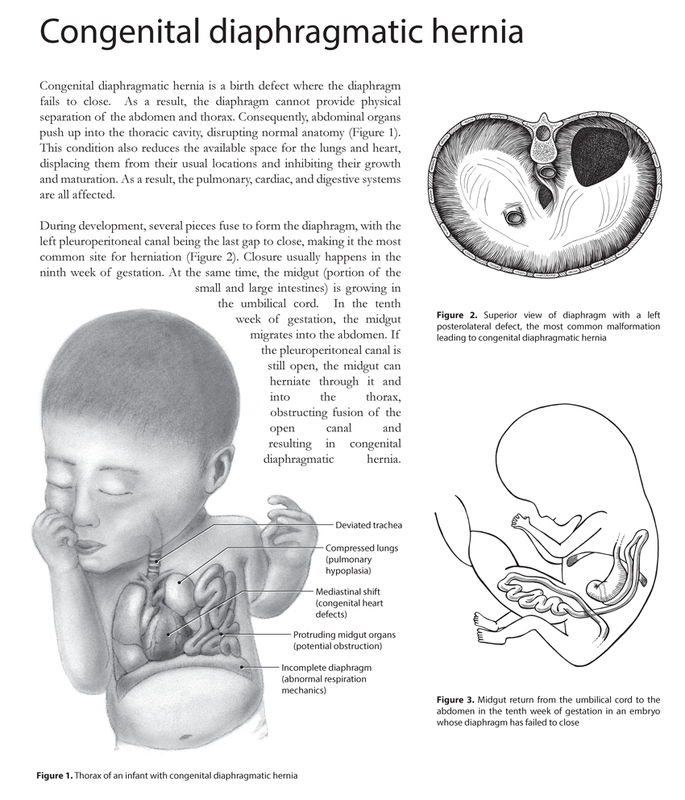 Congenital diaphragmatic hernia is a birth defect where the diaphragm fails to close. As a result, the diaphragm cannot provide physical separation of the abdomen and thorax. Consequently, abdominal organs (such as the intestines) push up into the thoracic cavity (occupied by the lungs and the heart), and disrupt normal anatomy. This condition also reduces the available space for the lungs and heart, displacing them from their usual locations and inhibiting their growth and maturation. As a result, the pulmonary, cardiac, and digestive systems are all affected. Here I depicted the development and pathology of this defect.